The ‘American Enterprise’ website has claimed that the radar-evasive gyrocopters developed by Iran’s Islamic Revolution Guards Corps (IRGC) can pose a serious challenge to neighbouring countries, particularly the Persian Gulf littoral states. 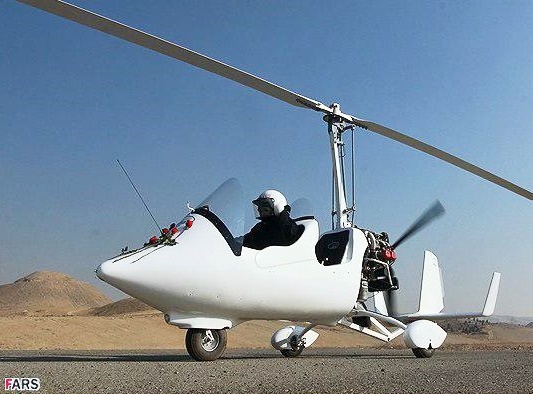 “If the IRGC is successful at developing the gyrocopter for Special Forces missions, it could pose some challenge to neighboring states and the [Persian] Gulf Cooperation Council,” Michael Rubin wrote in a recent article in American Enterprise. “After all, the relatively quiet and low-flying craft can evade radar notice,” the report added. “Iran has long faced security challenges along its rugged and sparsely populated border regions, especially in its Kurdish and Baluch areas which are prone to insurgency and smuggling,” it went on to say. American Enterprise further noted that in recent years, Iran has used unmanned aerial vehicles to conduct surveillance in these regions. However, it added, media reports indicate the country has recently switched to using lightweight, manned gyrocopters for surveillance, and these light aircraft pose a challenge to Iran’s neighbours.